Rognonas was a farming and market town in the Rhône and Durance delta area just south of Avignon; it's now largely a bedroom community for Avignon. Rognonas doesn't have much in the way of architectural interest, but there are cafés and restaurants, and its fête days are renowned.  Market day Tue. Although it was first mentioned in the 13th century and there were a succession of Medieval rulers from the 15th century, Rognonas doesn't have an "old town", or the typical compact center of narrow streets. Rognonas is more of a little town you would come to for an event or some other purpose rather than just to visit. 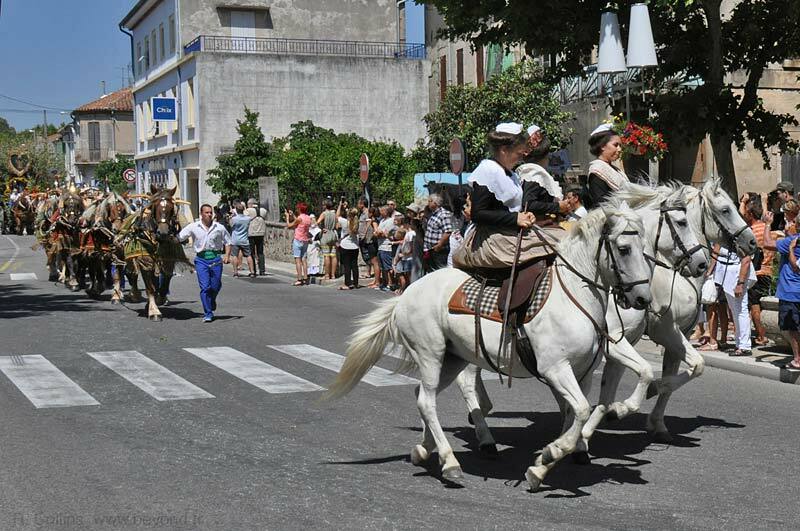 The Fête Saint Eloi is one of three annual festivals in Rognonas that feature the charretiers, cavaliers and a string of horses that gallop through the town as part of the festival procession. 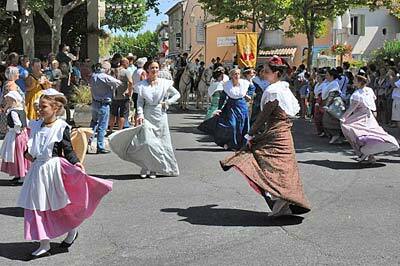 The Charrettes de Fetes are a centuries-old tradition for this part of Provence. 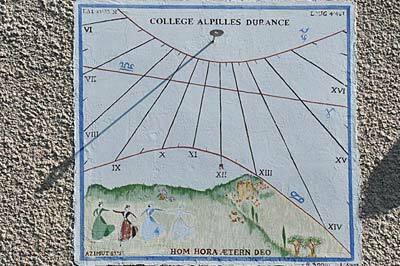 We found two very nice sundials in Rognonas. This one [our photo] is in the style of the old 19th-century (cadran solaires), with an image depicting the theme of the village and its festivals. The "college" in the title refers to the pre-lycée school, a junior high. The second sundial has a face and numbers etched into the stone and lined with black, and a long pointer that makse a slender, graceful shadow.